Here at Legacy Homes LLC, we are a family owned business and we pride ourselves on helping people to design and build their ‘dream home’. About Us: Vision: To be the preferred builder for projects large or small, and to provide exceptional customer service from our first point of contact, during design, planning, demolition, construction, & the final stages of your project and beyond. Mission: Capturing the dreams & expectations of our customers, and delivering with high quality at a fair cost. Values: To surround our customers with quality people and products, so we can provide exceptional service; to promote innovative & customized designs for our customers; and to leave a Legacy of commitment for the betterment of our customers & community. Kreider & Diller Builders, Inc.
Kreider and Diller Builders, Inc. is an award-winning home builder and general contractor, serving Central Pennsylvania for over 50 years. Whether you’re building a new home, renovating an existing home, building an addition, adapting an existing structure for reuse, or working on a commercial property, we can provide the professional assistance you need. We believe in consistent quality, attention to customer needs, proven reliability, and cost-effective project management. With wide-ranging experience, we take pride in our ability to carry out large-scale projects in a professional and timely manner. Services that we provide include: new home design and construction, building additions onto your home, remodeling (for basements, kitchens, and other rooms in your home), commercial construction, historic renovations, tenant fit-outs, basement finishing, and more. We are proud of our highly skilled team of carpenters and are known for not outsourcing our carpentry. Our team wants to go above and beyond our customers’ needs and we possess the experience to carry out large projects. Contact us or visit our website to see how we can help you with a project. Our office is based in Lancaster, but we also serve Dauphin, Perry, Lebanon, Berks and Chester counties. We provide free consultations and free project estimates, no matter what size the residential or commercial project may be! Let our more than 56-year-old, family-owned construction operation provide you with quality workmanship and excellent customer care. For Progress residential home builders who also act as developers, the job starts well before the first nail is driven. They perform local market research to determine whether the prospective homesites make sense in the Progress, PA market, as well as survey the land on which the house will be built to make sure it is suitable for construction. Custom builders also obtain the necessary permits. A good custom home builder in Progress, PA has skills that go far beyond construction — he or she must supervise subcontractors and artisans; keep tabs on local zoning regulations, building codes and other legalities; inspect work for problems along the way; and perform dozens of other roles that are essential in building a quality house. Here are some related professionals and vendors to complement the work of home builders: Interior Designers & Decorators, Landscape Architects & Landscape Designers, Architects & Building Designers, Kitchen & Bath Designers, Specialty Contractors. House builders are responsible for ensuring that the home-building project sticks as closely as possible to the specified timetable, particularly in the event of change orders. Custom and luxury home builders in Progress, PA also need interpersonal skills to deal with clients of all types, soothe frazzled nerves, negotiate conflicts and resolve problems. 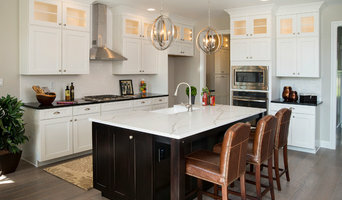 Find custom home builders in Progress, PA on Houzz. 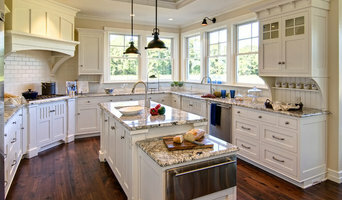 Narrow your search in the Professionals section of the website to Progress, PA home builders. You can also look through Progress, PA photos to find a house you like, then contact the builder who worked on it.